“Palabok,” I was told. “Mang Inasal has palabok now. Try it.” I was hesitant. Pancit Palabok is one of my two favorite pancit dishes (the other being Malabon) and I know from experience that pancit palabok from fastfood chains can be pretty hit-or-miss. And from a store like Mang Inasal that specializes in grilled things? I wasn’t too keen on the idea. Still, I’m willing to give any dish a chance, so we headed off to Mang Inasal for a merienda of pancit palabok and pork barbecue. The pork barbecue was there to ensure happiness. In case the palabok failed to deliver, at least I had the pork barbecue to fall back on. The barbecue arrived first. As expected, it was good. 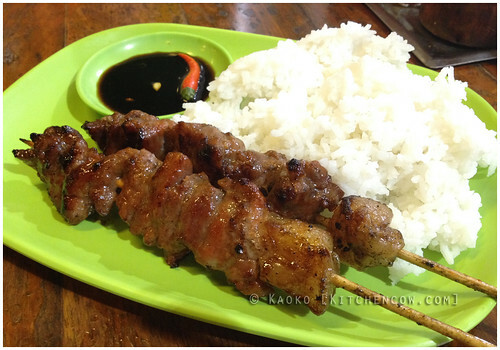 Inasal is the Hiligaynon word for barbecue after all. I was a few bites into the barbecue when the palabok arrived. It looked good. But does it taste as good as it looks? It was a yes at first bite. Generously slathered with its thick sauce and topped with pork, chicharon bits, shrimp, green onions, and hardboiled egg, it had the requisite formula for a good palabok. Lots of rich, flavorful sauce that coats the noodle strands, plus an assortment of toppings to add extra punches of flavor and texture to each bite. Tossed together with a few squeezes of calamansi, it made a gloopy orange mess that hit the palabok-craving spot. 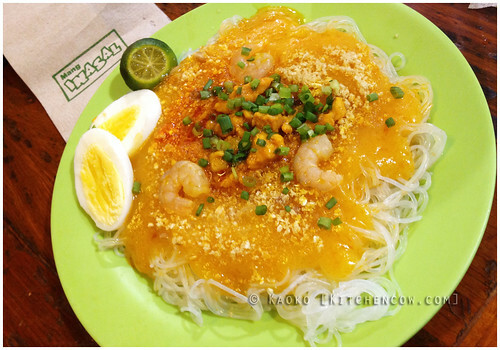 Because really, when it comes to palabok, it’s all about the sauce. I practically inhaled the dish, leaving no noodle uneaten. “Halo-halo.” I was told this time. “Mang Inasal’s Halo-halo will be the perfect merienda pairing for the palabok.” Sometimes, it’s best not to argue and trust other people’s suggestions. Despite already being stuffed silly, I have to admit, the idea appealed to me. I can already imagine my next yummy merienda: a serving of Mang Inasal Palabok with Mang Inasal Halo-halo. See you there? This is a sponsored post. Opinions are writer’s own.